Concey Bosco is the third participant in our Creative Futures program, a mentorship scheme established to create further opportunities for Western Sydney professionals, enabling each participant to advance their careers within their nominated field. 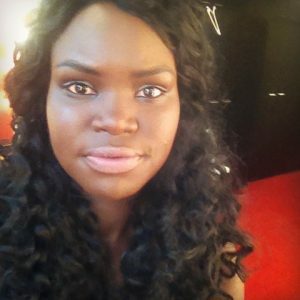 Concey shares her first weeks working with National Theatre of Parramatta as Assistant to the Production Stage Manager Gordy Rymer during the production of Who Speaks For Me? Having heard of the project and the team involve I was very eager to partake in the production. Furthermore I was very excited to see how Annette Shun Wah and William Yang the co directors of Who Speaks For Me? would work with the storytellers to articulate their very personal story to the public and even so deliver it, not being theatre performers themselves. This is my very first involvement in a production such as this and I feel very privilege in a way to sit in front of the storytellers and hear their stories again and again. It is such a great opportunity to be able to observe and work alongside such an inspiring creative team. I am learning by observing them in practice and in conversations with the team about the industry and their own productions. There is no doubt the rest of the production process will provide more wonderful and challenging experiences.